Fingerings and Applications for Guitar. REH Publications. Arpeggios and Technique. Softcover book and CD package. With guitar tablature, standard notation, guitar chord diagrams, fingerings, instructional text, black & white photos and introductory text. 32 pages. 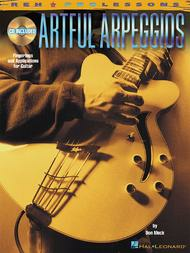 Published by Hal Leonard (HL.695585). ISBN 063402261X. 9x12 inches. REH Pro Lessons by Don Mock. Expand your playing and your imagination with these essential arpeggios! 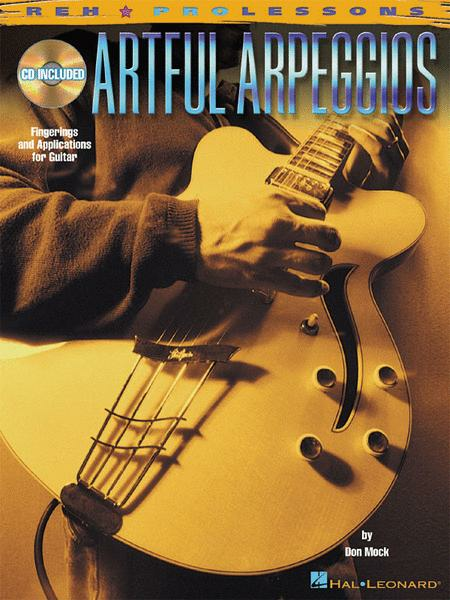 With this pack, players will learn: arpeggio fingerings; major, minor, dominant and altered dominant sounds; bi-tonal arpeggios; arpeggios from major, minor, melodic minor and harmonic minor scales; and much more! The book features standard notation and tab, and the CD includes 78 demonstration tracks. 24 of 47 people found this review helpful.